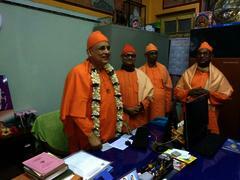 Swami Sivapradananda aka Saikatesh Maharaj took over as the new Secretary of Vidyapith. 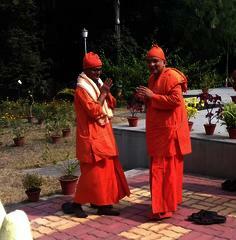 There will be a farewell of Swami Jnanalokanandaji and welcome for Saikatesh Maharaj from 8 am onwards. Requesting all ex-students in and around Purulia to be present.